If you missed part one you can catch up here. 2009 – 2013 as the ebook market exploded and self-publishing was a thing anyone could do, I was lucky. Even though I didn’t know what I was doing, I was still making good money. It wasn’t millions, but I was averaging $3000 a month. Since I was still working a full-time job and only working on my author business part-time, I was elated. Then in 2014 things changed. 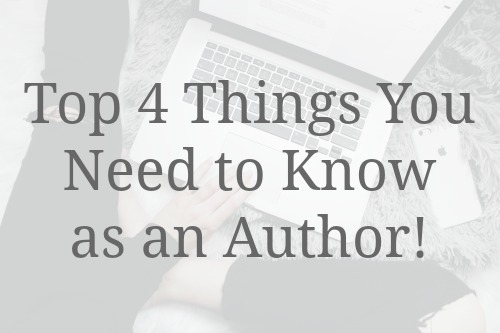 There were more authors than ever breaking into self-publishing, and it became so much more competitive. My sales tanked, my shortcomings in knowing how to write and produce a good book were glaringly apparent. I didn’t know what to do. I had 2 choices. I could quit and enjoy the memories of being a mediocre author or regroup and continue my journey. I decided to keep going. I realized I needed to focus more on quality. I took a year off from writing new books and went through my entire backlist re-writing, re-editing (sending off to 2 different editors), and republishing. It didn’t increase my sales but I wasn’t marketing either. The goal wasn’t sales it was to increase my knowledge of how to put a great quality book out in the marketplace. I created processes and timelines around everything. Treated my writing as a business and held myself accountable as such. It was hard for me not to write new books (you authors know we all have a million ideas in our head at any given time) but I knew I needed to focus on the process. I wanted to be confident when I did write and publish a new book I was doing it the correct way. So I could be proud my books would go back to earning me an income. I went back to school during this time as well to get my MFA in Creative Writing. Not necessary to be an author but I’m a lifelong learner. I love school and what it gives you. I’m the first to say, as a college professor and someone who has 3 advanced degrees, that formal education is not the be all and end all. It’s simply a tool to put in your toolbox of skills. And I firmly believe you can never have too many tools. 2014 was an abysmal year in book sales followed by 2015 and 2016 which weren’t much better. Sales were consistent. Consistently trending down. I refused to let it bother to be as I was rebuilding my foundation. You know the build it, and they will come thing. I focused on learning and then how to execute. I knew this would in the long-term increase my chances of making a living as an author. 2017 started as the year of rebirth (so dramatic) of my author career. This year while I’ve seen other authors throw in the towel (which I hate to see, there are enough readers for all of us) I have seen my sales steadily increase. I released one book in January with the intent of 2 more this year, but then in the spring, I realized I felt a calling to help other authors. I’ve always consulted and worked with people one on one but I wanted to do more. I wanted to take my skills as a college professor and instruction designer and create something that could help more people reach their writing dreams and not get frustrated and quit. So I put off my fiction writing and created the Writing Warriors Collective. Most aspiring authors who I meet at conferences or randomly on social media have the same fears in common. 1. I’m not a good enough writer to make it. 4. I have no idea what to do or where to start. Those are the fears I want to help authors put to rest in the Writing Warriors Collective because I’ve been there. More than once. I believe anyone who is committed to the process can reach their dreams of being an author. You may have to accomplish it in years versus months if you’re juggling many other things like family, work, school. Money can be figured out. There are lost cost ways to do anything. When you plan and follow the process, you give yourself time to find the money to finance your dream. Getting started is often the hardest part. But once you get started I promise you, you’ll be unstoppable. If you’re an author and have ever had any of those fears I listed above let me help you. There are several plans to choose from starting at FREE (who doesn’t love free).